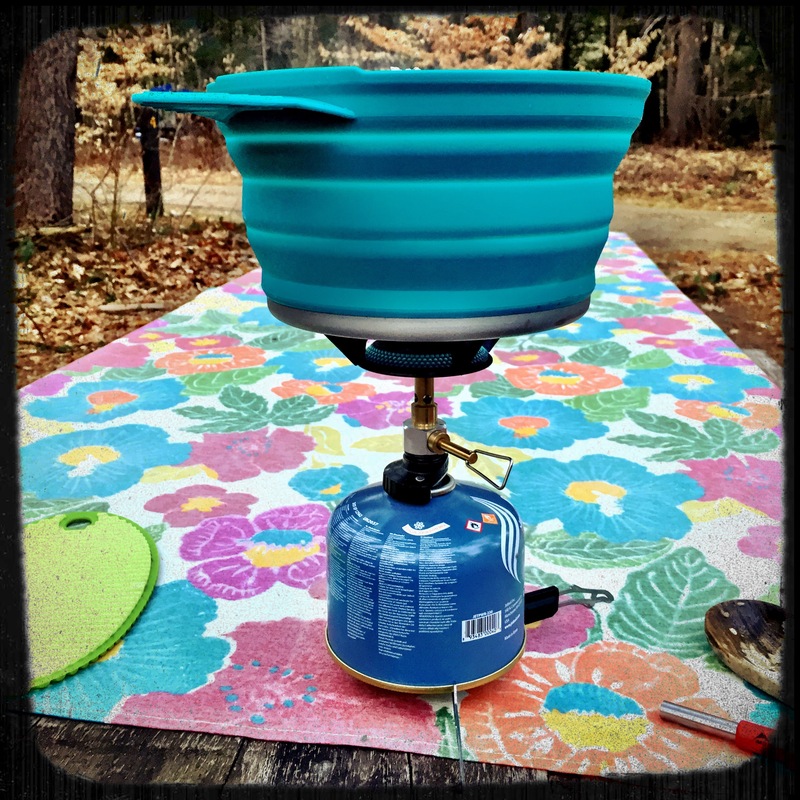 The Sea-to-Summit X-Pot is a fabulous piece of equipment. It has collapsible silicon sidewalls that allow the pot to flatten to almost nothing for storage. It has a lid that has holes, which makes it perfect for boiling and draining pasta. It is a great pot for one-pot meals- whether that be a mix of pasta and veggies or sausage, peppers and potatoes. And it is easy to clean. This pot is perfectly small for packing but big enough to make a meal for two or three people, very versatile and well worth the price.